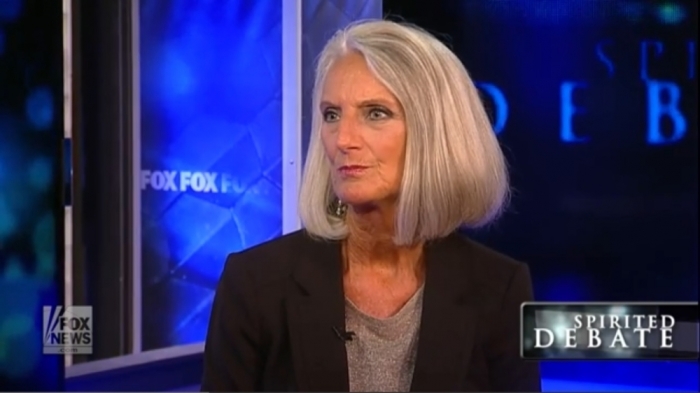 Responding to racial tensions that have resurfaced in America over the past two years, Anne Graham Lotz is urging Christians to open their Bibles and take four actions to bring healing to their communities and the nation. "As I've read reports of shootings in Louisiana and Minnesota ... as I've shared the agony of a nation that is reeling from the cold-blooded, deliberate, pre-planned murder of police officers … as I've watched the eruption of anarchy in the streets … as I've wept with grief almost deeper than words but expressed by a silent scream in my heart … I've asked the Lord, What are we to do," Lotz wrote on her website Monday. "Is there anything ordinary, good people can do?" she asked. In early July, the shooting deaths of two African-American men at the hands of a police officer in Minnesota and Louisiana, one of which was broadcast live on Facebook, sparked outrage and protests against police in America. Later that same week, a man who said he wanted to "kill white people, specifically white cops," killed five police officers in Dallas, Texas. This was followed by shootings of police in Tennessee, Missouri and Georgia, which resulted in the death of one civilian who was shot and killed by an African-American man as she drove along a highway. The mayhem continued on July 16 when an ex-Marine shot dead three police officers and wounded four others in a targeted attack in Baton Rouge. Lotz, the daughter of world renowned evangelist Billy Graham, said in her message that there are four things Christians can do to help their communities. "First, we can pray. Paul challenges us in Ephesians 6:18. ... With this in mind, be alert and always keep on praying. … It's time for you and me to establish a set-aside time of consistent, daily prayer," she wrote. Next, she said Christians need to "pick up the sword of the Spirit which is the Word of God, according to Ephesians 6:17," which she said should encourage people to spend daily, consistent time with the Bible. "But don't just read it. Apply it. Obey it. Live it out," she wrote. Lotz then pointed to 2 Timothy 2:22-24, which calls on believers to pursue righteousness: "Pursue the right thing, not necessarily the popular or the politically correct thing. Stand up for justice, truth, kindness and love by our own example," she explained. Lastly, Lotz said it's vital for Christians to proclaim Jesus' name. "Be ready at a moment's notice to share the Gospel and give a reason for the hope that is within you," she said. Lotz summarized: "Please. Don't do nothing. Do something! Pray. Pick up your sword. Pursue righteousness. And proclaim Jesus until He comes." Lotz's brother, the Rev. Franklin Graham, has also been speaking out against the targeted killings of police officers in several states, and warned that America has lost God's protection. "Our country, I don't have to tell you, is in trouble, you know that. The only hope for this country is God. It's not the politicians, it is God," Graham said earlier in July. "But God uses politicians and we pray for the politicians, that they will listen to God's voice and that they will hear His voice."